This card is made with a die from Simon Says Stamp, Brilliant Gifts. I white embossed the sentiment. 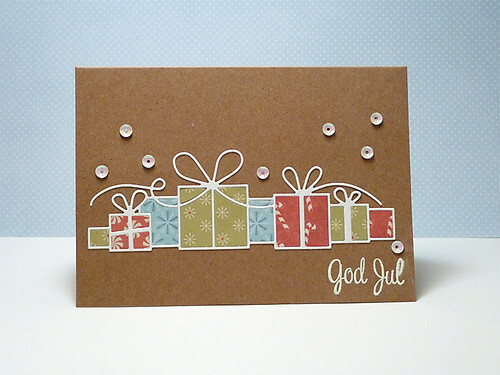 The sentiment stamp comes from Inkido and it says Merry Christmas in Swedish. I also added some sequins.